Neustadt boys to return to their mother - Moscow City Court | Russian Legal Information Agency (RAPSI). MOSCOW, November 21 (RAPSI) – The Moscow City Court has ruled that the children of US national Rachael Neustadt, whom her ex-husband had brought to Russia last January, be returned to their mother, RAPSI has learned in the court’s press service. The decision to leave the two boys with their mother was taken in a divorce hearing by the High Court of Justice of England and Wales and was later confirmed by the Moscow City Court. The Russian court’s board of appeals has dismissed the appeal of the ex-husband, Ilya Neustadt, and so the decision is considered to be effective in Russia. Rachael Neustadt, who resides in the UK, asked the court to return her two sons to her. 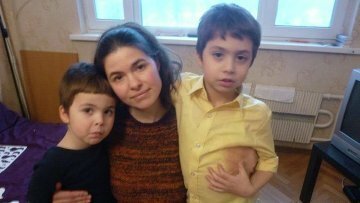 The father took Daniel (7) and Jonathan (5) to Russia for the winter holidays last January, but then refused to bring them back to their mother. Mr. Neustadt was sent the High Court ruling to return the children, and Ms. Neustadt traveled to Russia in February and July to negotiate the issue with her husband. Her lawyers write in their complaint that the High Court ruling be recognized as legal and enforced, citing the 1996 Convention on Jurisdiction, Applicable Law, Recognition, Enforcement and Co-operation in Respect of Parental Responsibility and Measures for the Protection of Children. The convention came into effect in Russia on June 1, 2013, and was first applied in Russia in the Neustadt case. The boys were born in Switzerland before the family relocated to London in January 2011. Daniel holds a Russian passport and an expired US passport. Jonathan holds German, Russian, and American passports. Two months following the family's move, in March 2011, the boys' mother initiated proceedings against her former husband Ilya Neustadt with an application for a non-molestation order, a court order prohibiting the use of violence and harassment. The order was sought due to Ms. Neustadt having been a victim of domestic violence. She was then accommodated with the children in a shelter. Ms. Neustadt had been granted sole residence of the children and a hearing had been scheduled for January 13, 2013 to determine the father’s contact rights. It had allegedly been agreed that the boys would visit their father in Russia for Christmas, and that they would then return to their mother's care on January 7, 2013. However, the boys were not brought back to the UK. 13:07 21/11/2013 The Moscow City Court has ruled that the children of US national Rachael Neustadt, whom her ex-husband had brought to Russia last January, be returned to their mother.